Did you know that this week is Mental Health Awareness week? This year the focus is on stress, something we are all too familiar with, especially at exam time. Personal development and well-being is not an area that most people immediately associate with Lynda.com but there are actually a number of courses that directly focus on topics like well-being, happiness, resilience, work-life balance and positivity. Arianna Huffington has created a range of courses for Lynda.com which look at all aspects of well-being including meditation, sleep, unplugging from tech, letting go and gratitude. 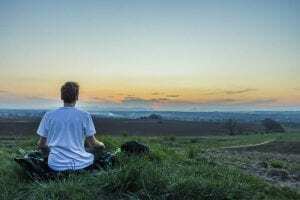 If you are interested in meditation, there is also one specifically on mindfulness. There are also two courses on building resilience, one general one and one looking at more specifically at resilience in the face of setbacks. There is also a stress management course and one on balancing work and life. We’ve put together all these courses and more into a playlist to make it easier for you to access them. Don’t feel you have to watch them all, dip in and out and see what resonates with you. Don’t forget that you can use the Lynda.com app on your phone or tablet to download videos to watch (or just listen to) offline as well.